Hey everyone! I'm BAAACK! I took a little break over the holidays, we just had soooo much going on, but I'm happy to be back on my blog and I'm really excited for 2017! 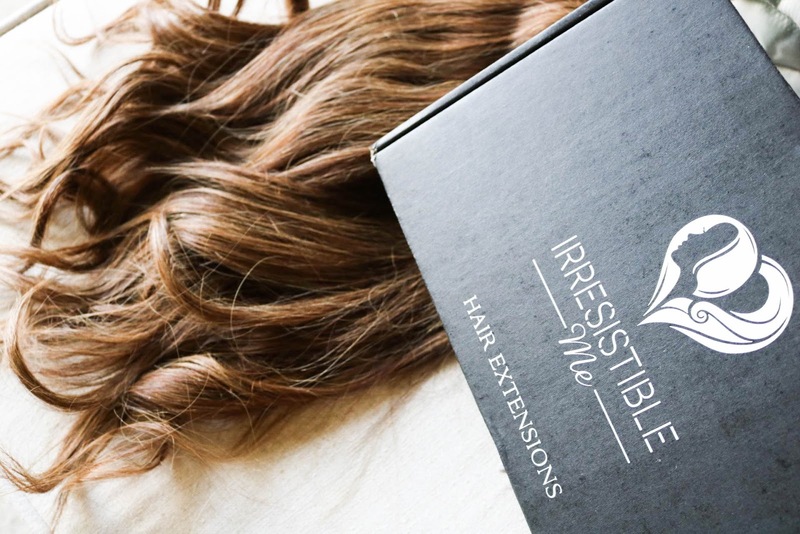 To start off the new year, I'm excited to introduce you all to Irresistible Me Hair Extensions! 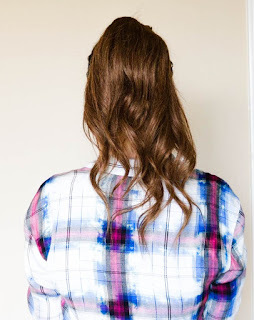 Now, let me FIRST say that I have never used hair extensions, so this was a first for me! I've always wanted to try them, but was scared they would be hard to put in. I ended up choosing the Silky Touch, 18 inch, 140 gram in light brown. To my surprise, they were extremely easy to put in and curl. To curl them, I tucked the tops into a drawer, gently brushed them out, and used my regular curling iron. 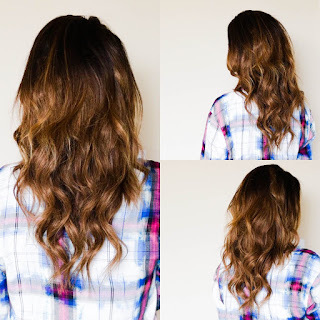 After I curled them, I gently brushed out the curls to give more of a loose wave. Here are my before and afters. I do have thick, but very fine hair, so I ended up not using all the wefts. I also tried them out by wrapping one of the wefts around my ponytail. Overall, I'm very impressed with the quality and how easy they are to use. Definitely, check them out if you are shopping around for clip in hair extensions! You won't be disappointed. Thank you so much for stopping by and I'll talk to you all very soon! Happy New Year! 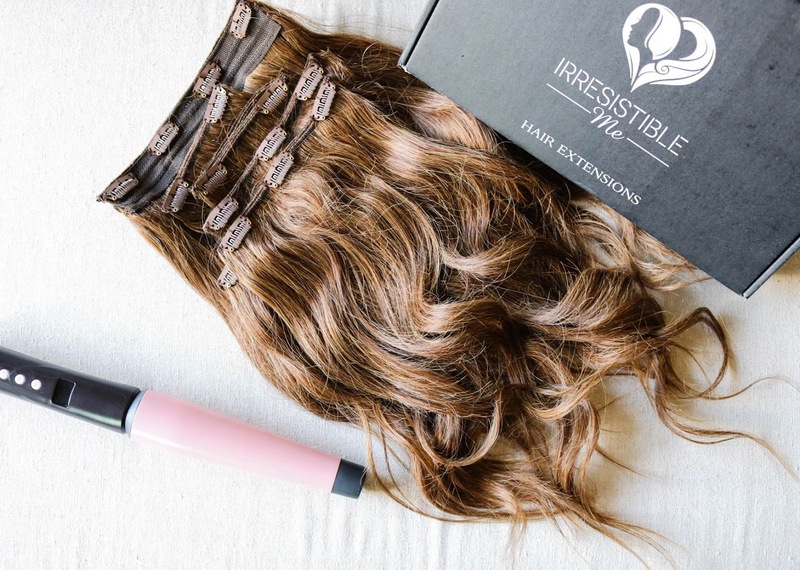 Thank you IrresistibleMe for sponsoring this post! 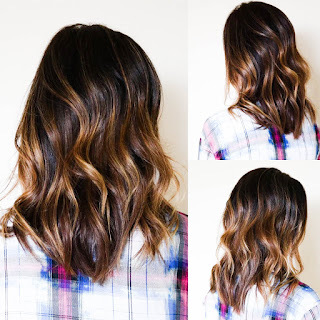 Love how full it makes your hair look!!! 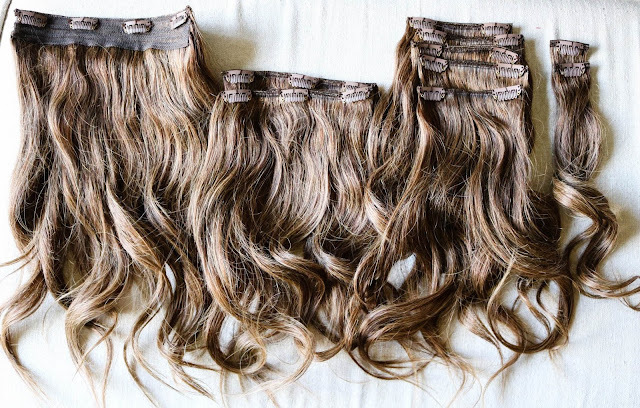 I haven't had extensions in years but may have to do it for fun! !